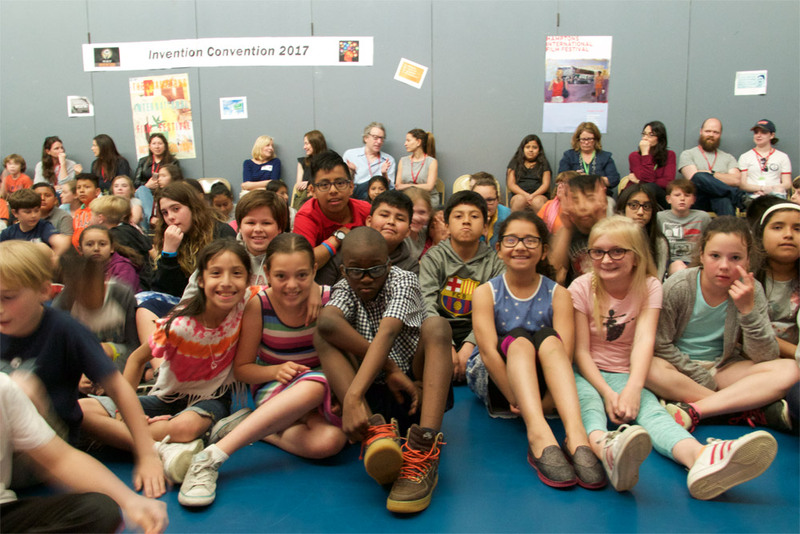 For the second year in a row the team behind ​HIFF​ Jr​ curate​d a compassion-oriented “red carpet” film screening and student filmmaker panel, which we’ve shown to hundreds of students at John M. Marshall Elementary and The Springs School in East Hampton. We are actively expanding the program across the East End. Among the films shown were several from the middle school ​students, who had been inspired by our United Nations ​Plural+ ​Program​, which showcases films ​​addressing issues of human rights, empathy, and migrant integration during the October Festival for middle and high school students across the Hamptons. ​High school students ​with a passion for film helped produce the ​screening ​events, ​and HIFF ​Jr ​provides teachers with a customized educational packet to help apply the films towards wider classroom discussion​. Sponsored by the Moxie Foundation, which aims to infuse entrepreneurial “moxie” into the greatest challenges facing society today, the HIFF Jr Education Program will expand to Springs School and ​The Ross School in June and the fall, broadening our reach to include more of our community’s bright and inspiring youth.